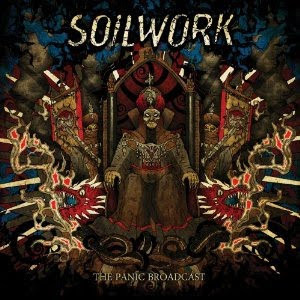 Hall of the Mountain King: Review: Soilwork, "The Panic Broadcast"
Review: Soilwork, "The Panic Broadcast"
Often when a beloved band member makes a comeback, there’s a tendency for fans to heap praise on that record when it’s not always completely warranted. To my ears, that’s kind of what’s happening with Soilwork’s “The Panic Broadcast.” The truth of the matter is that Soilwork has rarely disappointed me, and “The Panic Broadcast” is a very good record. But the return of guitarist Peter Wichers has returned and, just about everywhere, people are gushing about this record. To me, though, it’s another in a steady stream of Soilwork releases, and certainly not a better record than their last outing “Sworn to a Great Divide,” which was, for me, something of a comeback record. The thing that has always intrigued me about Soilwork is the way they blend raging thrash and melodic death elements with more melodic, almost commercial elements, and there’s not any shift in that aspect of their music here. One of the things that surprises me about the praise being heaped on this record is that, if anything, the melodic parts here are more on the commercial side than ever. “Let This River Flow,” for example, opens with an acoustic strum and never gets very hearvy. In fact, its probably one of the most mellow tunes of the band’s career. “Epitome,” likewise, doesn’t sound much like Soilwork, instead offering an almost Alice in Chains vibe. There is still plenty of aggression on the record as well. Opener “Late for the Kill, Early for the Slaughter” features a heavy Slayer influence, and Bjorn “Speed” Strid sounds so much like Tom Araya on parts of the verse that I had to check to make sure the Slayer screamer didn’t have a guest spot on the record. 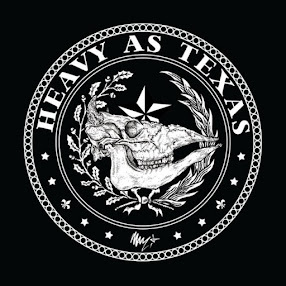 “Deliverance is Mine” is relentless, and “King of the Threshold” delivers the most aggressive performance on the record with the only blast beats to be found and some solid guitar work from the returned Wichers. In short, “The Panic Broadcast” adds another solid outing to the Soilwork catalog, and that alone makes it worthy of consideration for my year-end best of list with or without the return of Wichers. I do think the praise heaped on it by other has been a little too lavish, but that doesn’t mean its not a record worth hearing. Fans of the band should love it. Review: Black Label Society, "Order of the Black"
Review: Black River, "Black 'n' Roll"
Review: Heath Forbes, "Caught in the Middle"